In Carcassonne, in the south of France (in the heart of the Occitan – Cathar and Templar country), Marie-Françoise, a nun, the Abbess of the Convent of Poor Clares, is arrested on a charge of heresy and witchcraft. 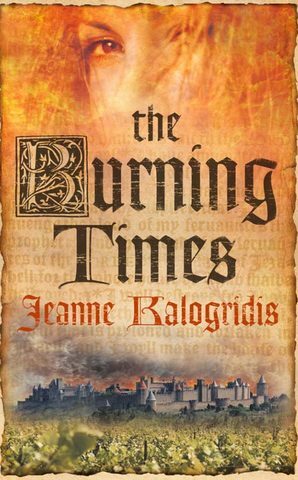 A young Dominican inquisitor, Michel, finds himself appointed to interrogate her, his superior having fallen ill, and there being no time to bring in a replacement. In fact, they have already encountered one another: she once performed a healing miracle in his presence, he considers her a saint, and she herself refuses to speak to anyone other than Michel. Michel, however, is shocked when it transpires that the Church has already condemned her, that the hearing is just a formality, that she is to burn. He insists on listening to her, hearing her story. And what a story it is. Who is this woman, this healer, whose real name is Sybille and who has brought down the wrath of the Church upon herself? Is she one of the last of the Race, as she claims? And who is Michel? Is he simply the young monk he seems to be? Or is he something else altogether, as the Abbess, Sybille, appears to believe? Likewise have I never beheld such beauty, such grandeur, such wealth. More ermine exists in Avignon, they say, than in the rest of the world combined, and I can vouch for it now. On my arrival, I let myself be led by the Goddess into the great square in front of the Papal palace, and watched the glorious display of finery: the nobles in their canary, peacock and purple silks and brocades, the Papal gendarmes in uniforms blue as the broad Rhône, the cardinals in wide-brimmed carmine hats and snowy furs. Across from me stood the Palais des Papes, the Palace of the Popes, that magnificent cacophony in stone, built upon a cliff that dropped precipitously to the shores of the Rhône. Tall as a great cathedral, it was much broader in span – in fact the size of a king’s estate, grand enough to house several hundred, its massive walls enclosing dozens of spires and turrets. And those walls faced a great city square. As I neared the Papal palace, my steed atremble as if he sensed the Evil residing there, I saw a platform. It is a book you need to read twice. Not that it doesn’t come over first time – it does – I was awed – but when you re-read the Prologue after finishing the book, you suddenly appreciate nuances you missed first-time round, and are drawn on unresisting into Part I again.